Labor and Delivery- Pregnancy labor can be very painful and terrible. If you are pregnant, knowing a few things can make labor easy and go through a delivery with much ease. It will, of course, be helpful when you are prepared and have an idea about how it will be. By learning signs of labour and how to go about it, you can manage it well. Here’s our guide on pregnancy and labor, which includes how can prepare yourself for labor, manage pregnancy labor & delivery, complications during pregnancy labor and much more on it. Labour pains can be very painful and terrible, you should help yourself by getting some tips on easing labour pain and having a delivery with relative ease. Learn here how to ease labour pain. Signs and symptoms of labour in pregnancy are regular contractions, mucus plug, loose stool and broken water. They would however vary from person to person. During labour it is only right for you to help your wife or close one, and you should say good things to keep her happy. The best way of enduring the pains during labour is to share the experience with your partner. The best part is that doing this makes you feel as though it is a collective effort. Here are some pointers for pregnant women on what to expect and how to be prepared during the labour and delivery stages. Knowing these would give you an upperhand with your labour and delivery. 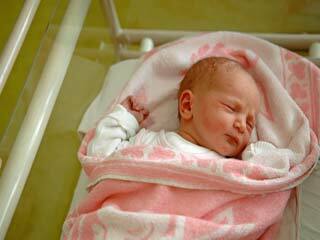 Understand the signs of a premature baby that can help you to prevent preterm labor. There are many instances where a woman does not experience any labor pain even past their due date. Learn about the different pregnancy delivery options. You should start packing your hospital bag two to three weeks before your due date in order to avoid last minute stress to you or your partner. Consider packing two bags; one for labor time and the other after childbirth. Having a good idea of what to expect during labour and delivery could really help you to overcome your fears and face the situation with confidence. Here is an insight into what happens moments before the baby is born.